After 3.8 billion years humankind is about to evolve . . . through a new set of rules. 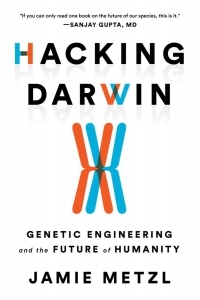 Hacking Darwin is the first book to both fully and commercially explore the fascinating and controversial effect genetic engineering will have on the future of the world. Geopolitics and biotechnology expert Jamie Metzl reveals how society is on the brink of incredible new science where the power to 'upgrade' our children, eliminate diseases, and resurrect extinct species will shake the core foundations we've embraced since the dawn of time. The most surprisingly accessible book on scientific and human potential since Homo Deus!